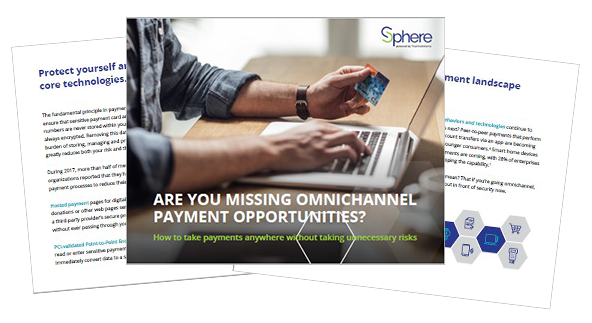 Are You Missing Omnichannel Payment Opportunities? Your customers expect to be able to pay at any point of contact. However, if your organization is on the road to accepting these omnichannel payments, there are significant security implications. Greater exposure of payment information in more places increases the odds of consumer data being compromised. In this ebook, you'll learn how to easily overcome omnichannel payment security issues and reap benefits that go far beyond pleasing your customers.